Reproducible research, in particular project workflows that integrate statistical analysis, report writing, results tables/ figures generation and version control software. My current position at the statistical consultancy unit is more of a research service role, where we help facilitate high quality and methodologically rigorous research. I never get bored with the variety of projects, from collaborating with researchers in basic science finding genetic variants associated with disease, to helping public health researchers design and analyse research projects for implementing school based physical activity or diet programs that are adopted in all schools state-wide. The ability to help on a variety of projects within the entire spectrum of translational medical research is one of the major reasons I got into biostatistics. Ronal Fisher astutely noted: "To call in the statistician after the experiment is done may be no more than asking him to perform a post-mortem examination: he may be able to say what the experiment died of.". My goal is to help researchers see the value in study design at all levels of research. Dr Oldmeadow is a Senior Statistician for the Clinical Research Design, IT and Statistical Support (CReDITSS) Unit at HMRI. Dr Oldmeadow attained a PhD from the Queensland University of Technology in 2009 where he developed methodologies in applied statistics. His PhD research constituted the application and development of statistical methods in biostatistics; specifically he developed a generalisation to the Bayesian segmentation and classification model. A large component of his four-year post-doctoral position involved consultation on and analysis of on a large variety of biostatistics problems. 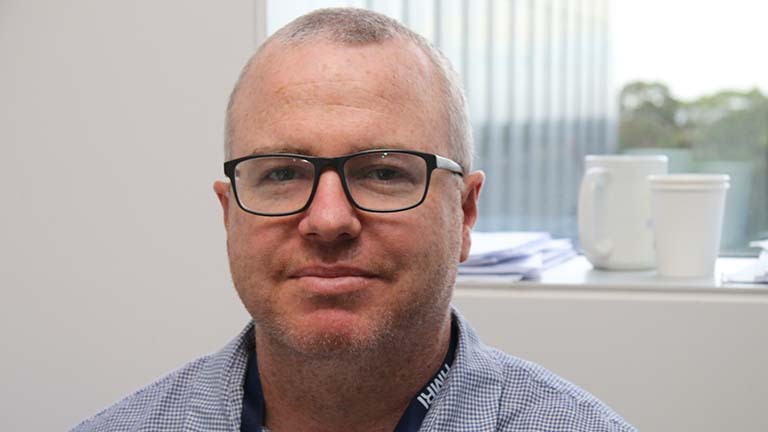 He oversees the statistical analysis for consultancy projects from various fields of research, including several large ARC or NHMRC funded grants and tenders for the Ministry of Health. Dr Oldmeadow is responsible for developing, maintaining and analysing large complex health related data sets. His role as a statistician through CReDITSS has placed him in collaborations with groups including: Hunter New England Population Health, John Hunter Hospital (JHH) Trauma unit, JHH General Medicine, JHH Cardiology, UoN Centre for Brain and Mental Health Research, Hunter Cancer Research Alliance, UoN Priority Research Centre for Physical Activity And Nutrition, UoN Centre for Information Based Medicine, UoN Priority Research Centre for Health Behaviour, and UoN Faculty of Medicine Public Health. These collaborations have resulted in a number of projects relating to health service development, and have had beneficial outcomes to the health services. Dr Oldmeadow’s role at CReDITSS also provides ongoing consultative support for numerous PhD students and research fellows/assistants. Significant expertise in a broad range of statistical techniques applied to data from a variety of platforms and study designs.